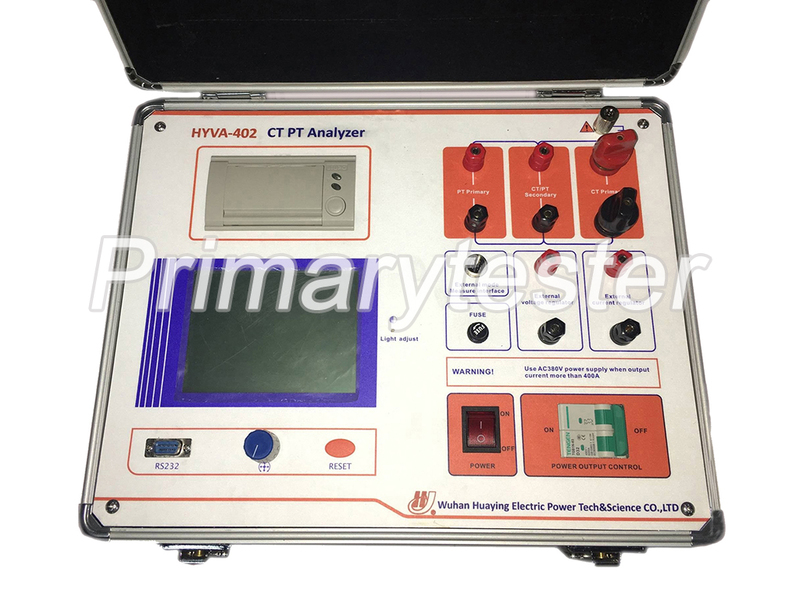 HYVA-402 is a full automatic transformer comprehensive tester developed by Wuhan Huaying electric power tech&science co.ltd.The tester can finish: CT/PT volt-ampere characteristic curve test, CT/PT polarity test, CT/PT transformation ratio test. It can automatically calculate error curve of any CT point, CT/PT ratio difference and other result parameters. 1. Easy to operation. It built-in imported high-performance CPU. 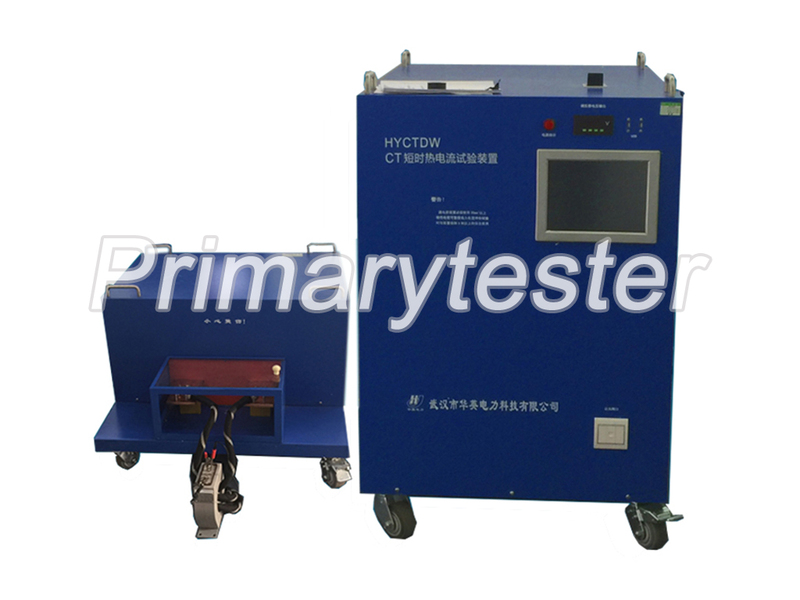 Without manual operation, the instrument automatically completes the test to prevent person from the high voltage circuit. 2. Large output. Maximum output voltage of volt-ampere characteristic test reaches to 1000V. Maximum output current of transformation ratio test is 600A. Output capacity of internal voltage regulating machine is 5KVA. 3. Optional accessories includes external join to voltage raising machine, current raising machine and voltage regulating machine. You can have a CT test of reach up to 500KV, 1A current transformer when using external voltage raising machine. 4. 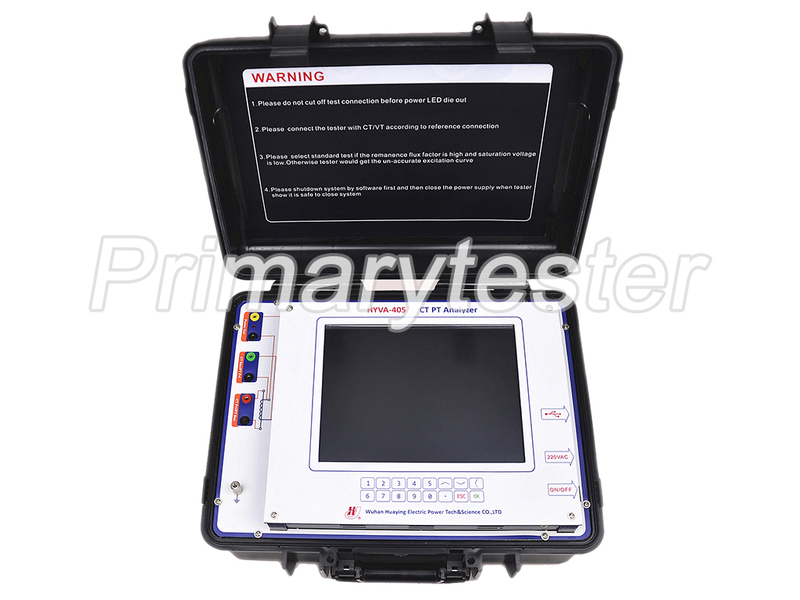 With 320*240 Large screen, it can display volt-ampere characteristic curve directly when the test is finished. It can print curve results anytime. 5. With rotating mouth, it is easy to operate and durable. 6. Built-in flash ram to prevent data loss due to power off. 7. 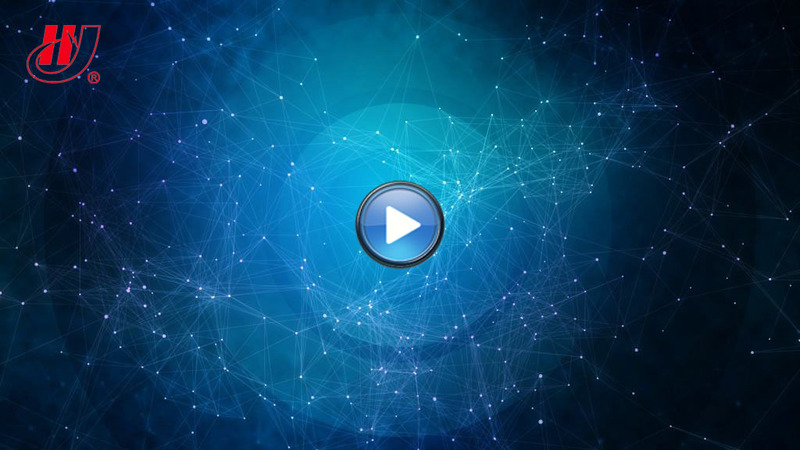 With RS232 communication interface to make sure connection of the instrument and PC, testers can control the test and unload the test data through PC.